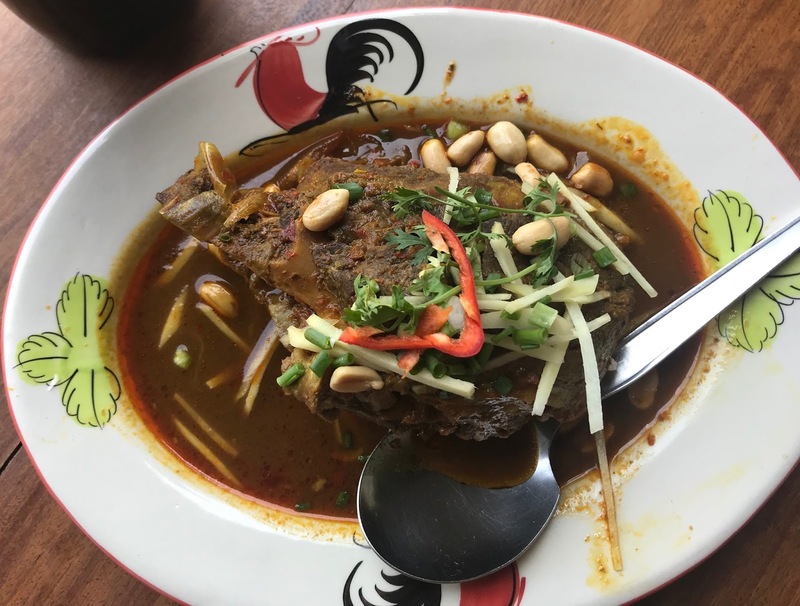 For Valentine's Day lunch we went back to the River Market, a nice place we found last year when Anjali and Domingos were here with us (well, Anjali found it!). 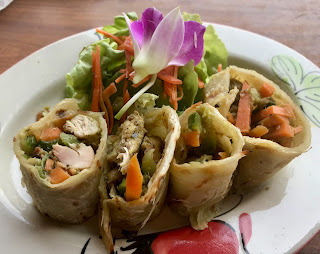 We had wonderful curried chicken roti rolls to start. Dan had the Burmese curry (again) and I had the eggplant tapenade with barbecued shrimp (again). All wonderfully delicious. Tuesday afternoon I was surprised by these beautiful roses Dan brought from a florist near his massage place. They are fully open now and won't last too long -- it is quite warm. Yes, in fact, it is getting hot. The weather report says it gets up to 95 during the day and it feels like it. The water in the pool was noticeably warmer today than yesterday. I have run the A/C in our room a few times in the afternoons. There is a pretty good breeze in the morning, especially if we leave our door open to increase the flow.